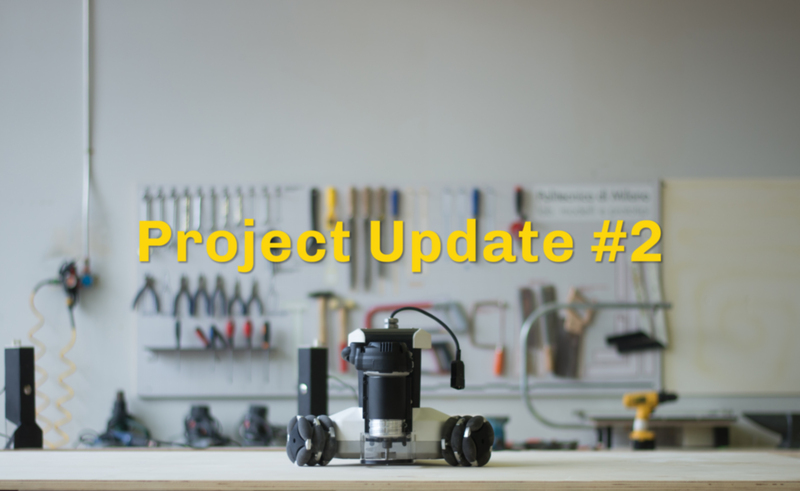 Hello everybody, welcome to the second update about the project development of Goliath CNC! During the previous one, we shared with you the ongoing activities of dust collection system development, growing the team and managing the interests of potential partners/investors. In the last weeks we kept working on this topics, and especially the last two ones are unfortunately slowing our process in moving forward with the project. Due to the number of people we are, the time we spend negotiating or selecting people is time stolen for the product development. Although we’re expanding the team to face these challenges we want to be transparent and share that for these reasons we will have a few months of delay on the project development timeline shared on Kickstarter. It’s hard to give a more precise feedback because we’re in the middle of the R&D process, where, as we experienced during the development of Goliath CNC, and also today with the dust collector, we try innovative solutions without the guarantee of immediate success. We dedicated more time studying a technical solution, and we came out with the idea to use a small cyclone filter (probably more than one) to capture the dust and make it fall in the bin. After a few iterations of 3D modeling and 3D printing, our team was able to understand and define the right balance between dimensions (we must keep it as small as possible) and a good filter performance of the cyclonic filters. After that, we build a system to reproduce the conditions when Goliath CNC works. We have run many tests, comparing the weight and the amount collected at the end of the buckets. From the measurements, we found that this system has an efficiency of the 99,5%, which is a very good result! The next step will be the integration on Goliath CNC. 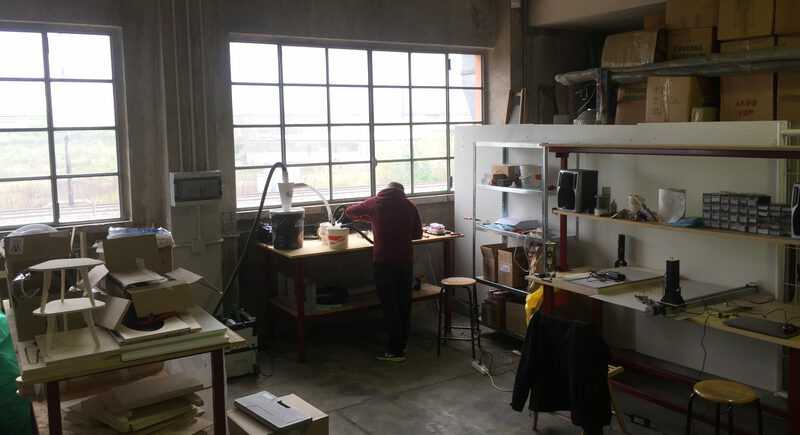 News are not over: due to a few changes in the spaces of PoliHub, we had to leave pretty quickly our workspace – the Springa Lab – between the first and the second week of April. 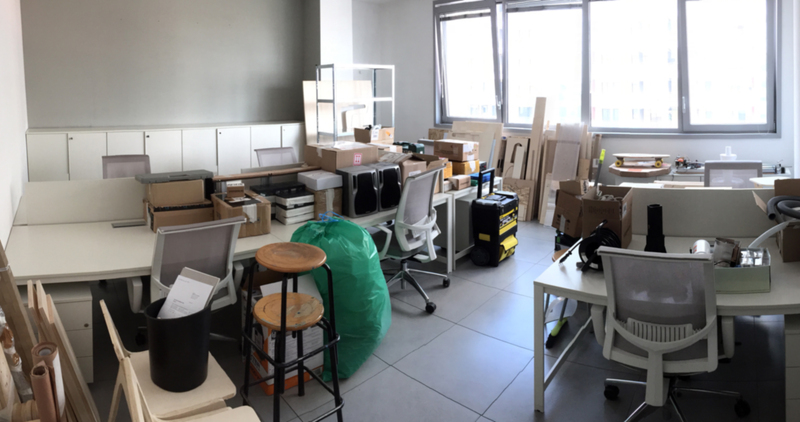 This accident stole us a little time to organize the move, but we were lucky and good to find soon a new home for our prototyping activities at Makers Hub, a coworking space and FabLab very close to our offices. Here we will have a dedicated and reserved area, looking forward to joining a new and unique office for both desks and workshop that will be prepared for us for in November. Moreover, waiting to raise the number of team members, we will also leave the open space and move to the third floor of our building to a Springa dedicated office! Springa is growing! The hiring process is going on, we are doing many job interviews in the weeks, and we hope to take on board two more people soon. For now, we are happy to have a new Davide on board in Springa! From Mechanical Engineering M.Sc. he started working and supporting our CTO Alessandro to improve the control of Goliath CNC. We are also at the last stages of selection for the Industrial Designer position; we will take care to introduce you to the new team members soon. Regarding the software and firmware development, we are still looking for someone to join us, take a look here for more info.